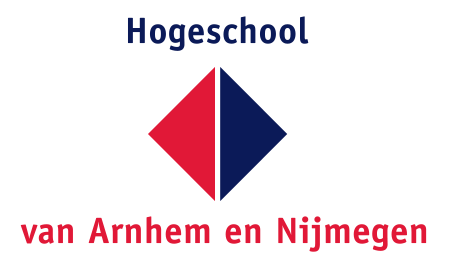 I completed my higher education at the Hogeschool van Arnhem en Nijmegen, specifically at the University of Applied Sciences in Nijmegen. I started attending the universally praised Bioinformatics course in 2011 and received my Bachelor's degree in 2016. Over the course of my attendance at the HAN I accomplished a number of feats in addition to the normal coursework, ending my Bachelor's with a 9.2 for the final internship project. I spoke at several gatherings dedicated to the Bioinformatics course, including a symposium and its second Lustrum. I acted as a student assistent over the course of 4 continuous years, in both didactic and non-didactic roles. I guided a C & CUDA course block on two separate occasions, once before having taken the course myself, the other as an introduction for a new teacher. Both occasions were praised by students and teachers alike. I indepently set up, guided and graded a course block on practical version control with Git and GitHub, a subject that is still being taught today as part of the third year. I prepared and guided an interactive teacher-oriented event for the HAN Energizer day, giving a crash course in advances in Machine learning and Artificial Intelligence. I acted as a representative of my class in the Class Representatives initiative at the HAN, primarily focussing on improving accessibility to digital resources. I still keep close contact with the HAN, as a member of its alumni assocation and as a guest lecturer on Artificial Intelligence. References for any of the above will be provided upon request.